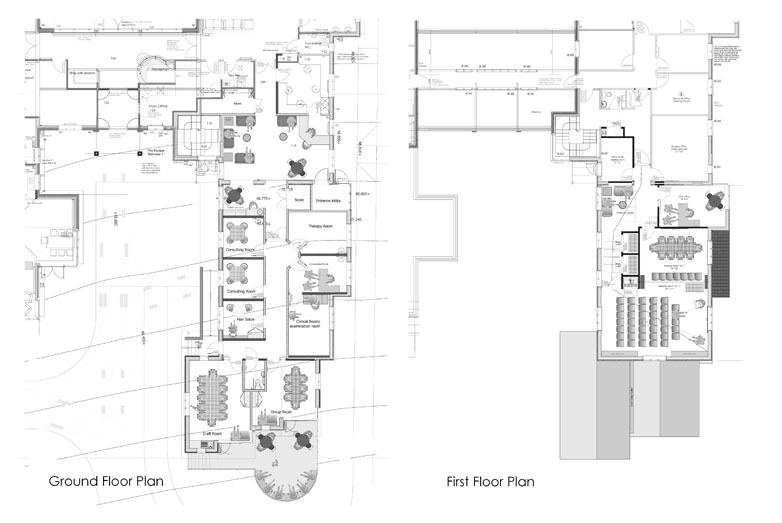 Gross internal floor area: 420 sq.m. 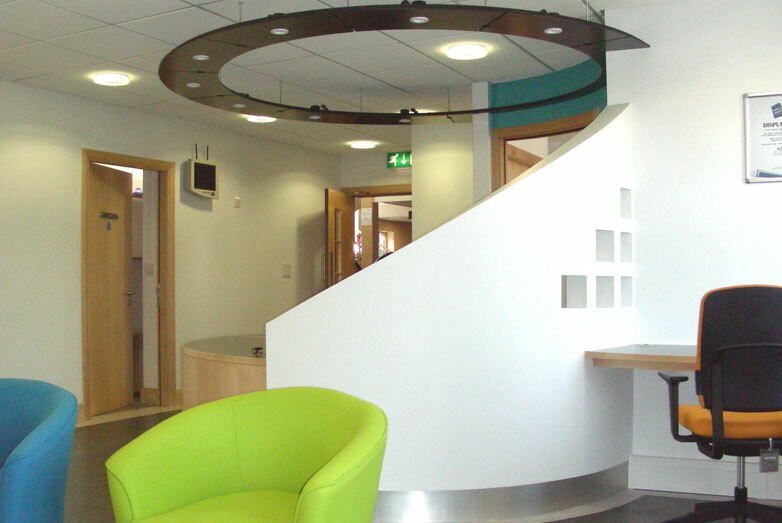 This project was carried out using Department of Health funding and a quick turnaround was required to meet the timetable. 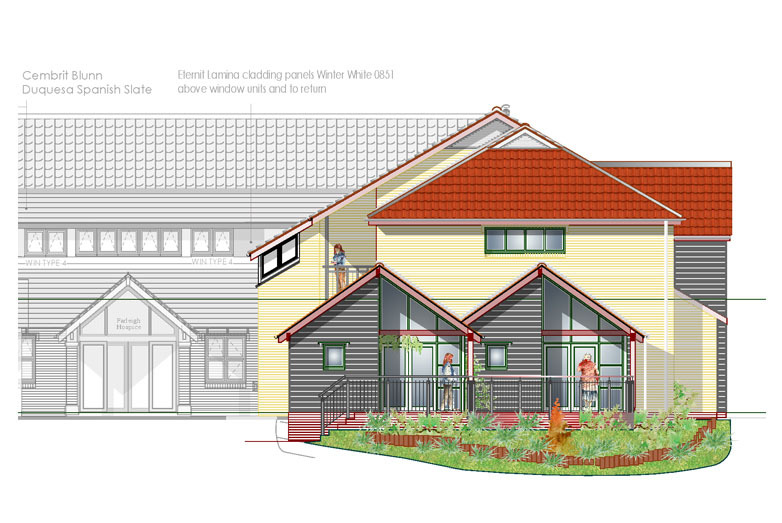 An extension to the main hospice building, this is the provision of a new Drop in and Education Centre with additional outpatient facilities to meet the hospice's expanding outreach to the community. 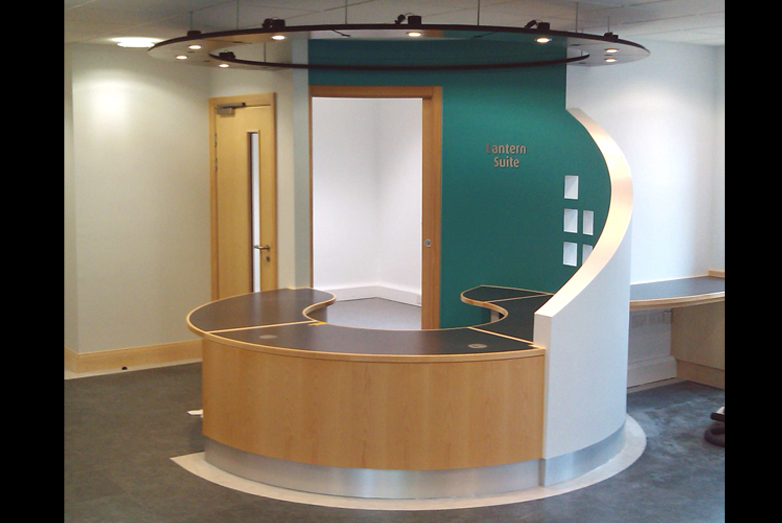 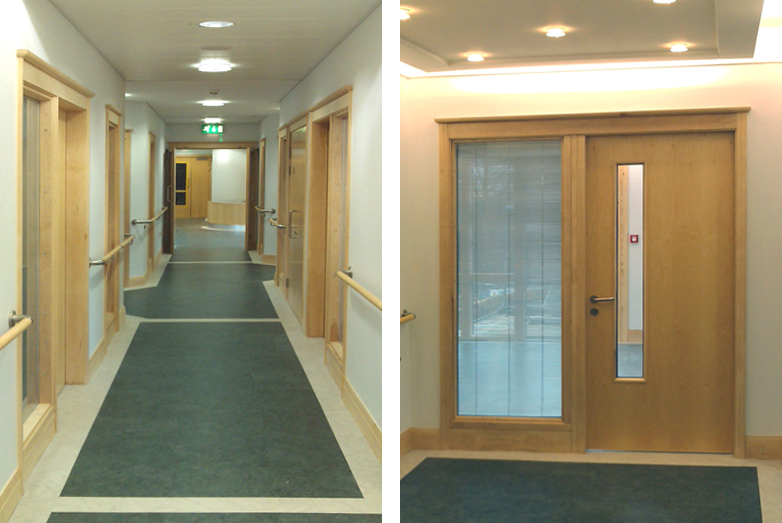 The intention is that all services are accessed via the main hospice entrance. 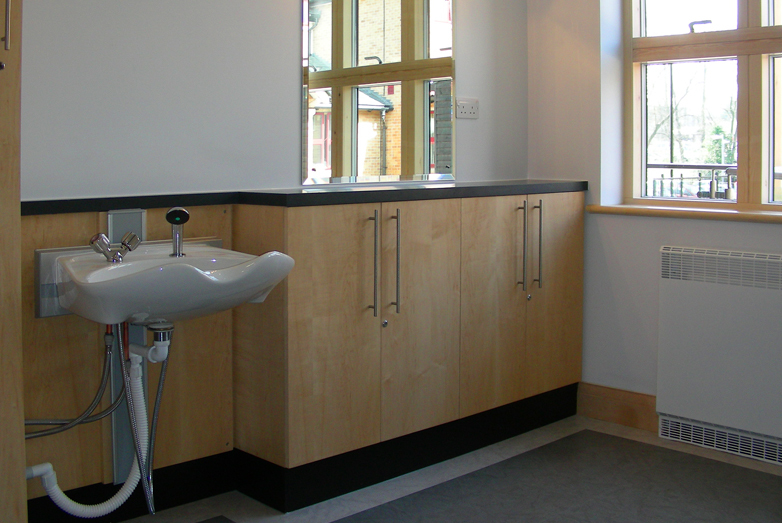 The facilities are therefore located close to the main reception of the original hospice and this required some internal alterations to rationalise circulation and maintain fire escape routes. 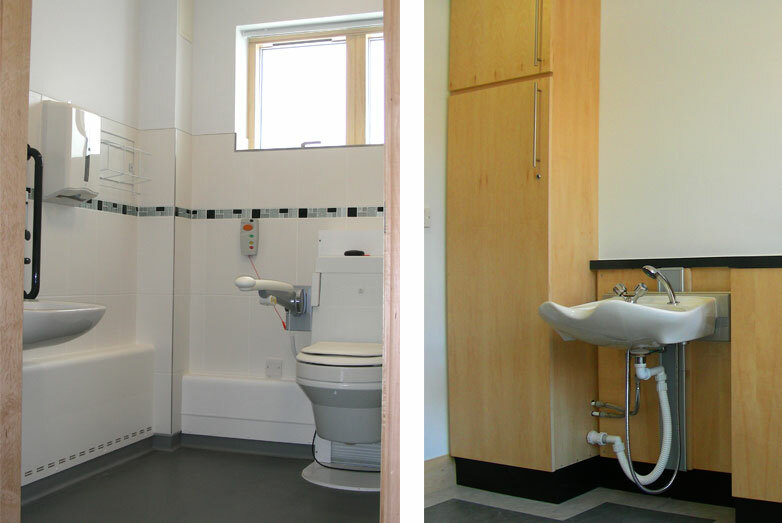 The Brief required that the current Hospice continue to provide the service and retain the main access for patients causing as little disruption as possible during the new build. 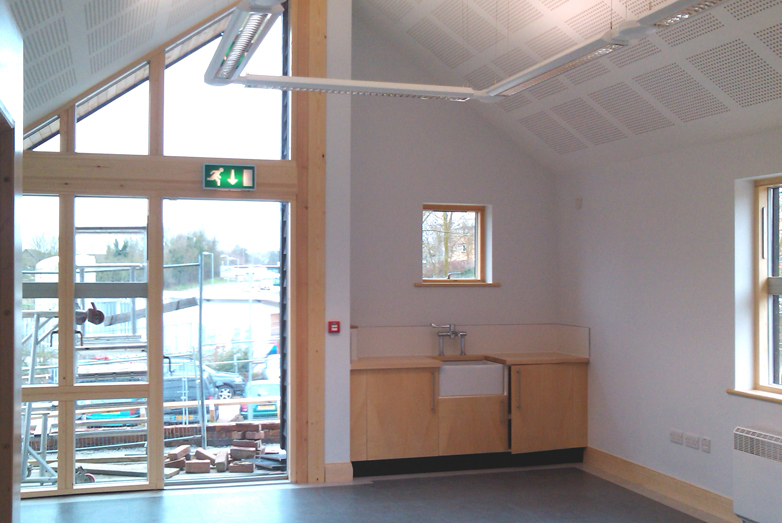 This necessitated the development of a careful construction strategy and resulted in a phased approach to the works. 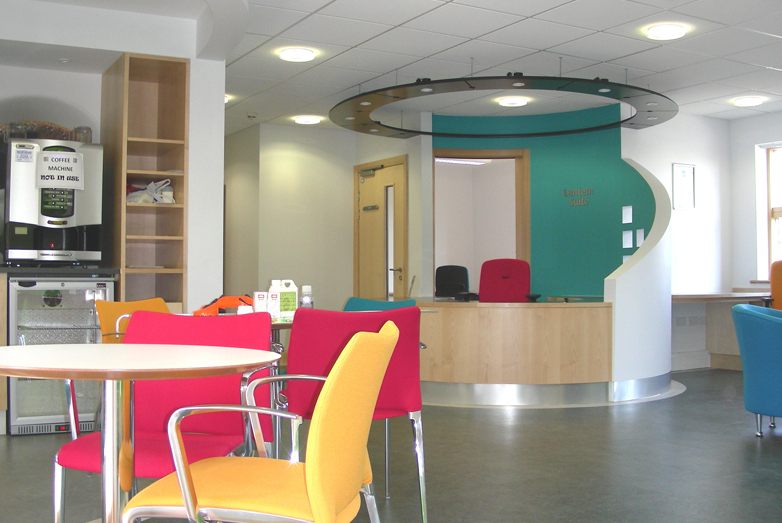 The new facilities provide a coffee drop in area and resource centre, a number of counselling rooms, therapy based activity rooms, consulting rooms and examining rooms at ground floor and educational meeting rooms at first floor. 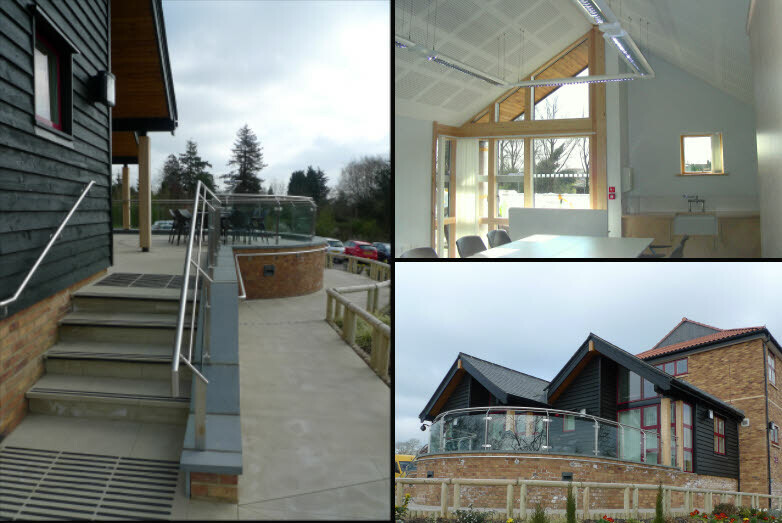 The building form follows the rural Essex vernacular vocabulary established by the original hospice with similar materials and finishes used in a contemporary manner. 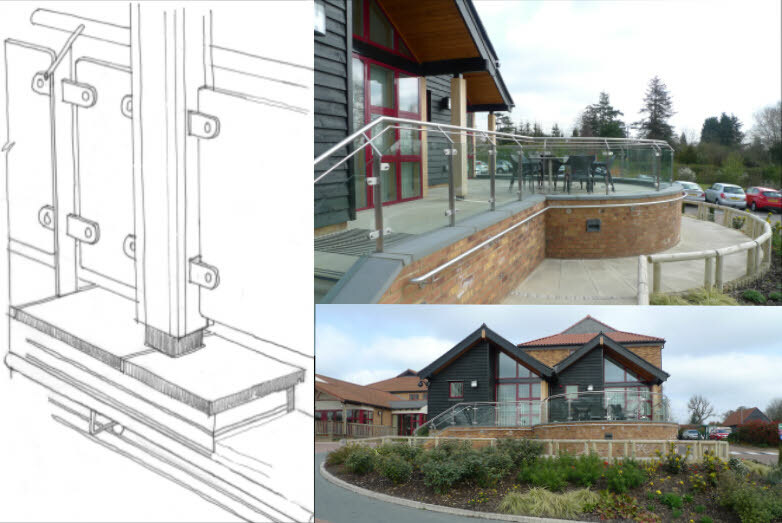 The extension steps down from the two storey existing arrangement to a single storey craft area with external patio following the gradient of the site.